In the 1920s the General Mills company received numerous letters with baking questions. The managers thought it would feel more personal if the letters were signed by a particular person and not by the company in general. So they came up with the name ‘Betty Crocker’ : the last name of an ex-company executive and ‘Betty’ was just chosen for sounding friendly and approachable. The signature, that can still be seen on Betty Crocker products, was chosen at an employee contest. In 1936 an artist was asked to blend together the features of all female employees in the Home Service Department in order to create a likeable face. 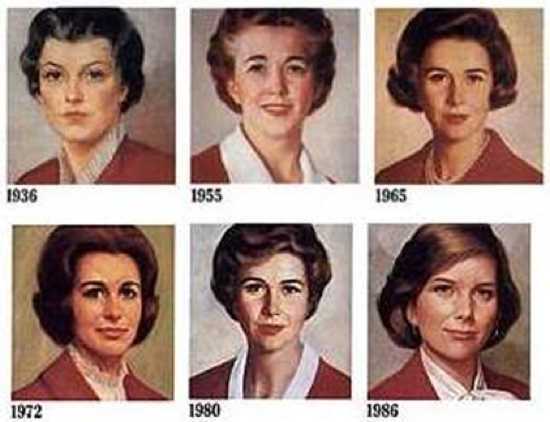 However, Betty Crocker’s appearance has changed a lot over the years : her age, clothes and face features have been altered several times. In 1996 she was given a darker complexion and a multicultural look. Writer Martha Sherrill created Allegra Coleman, an imaginary celebrity, for a fictional magazine article which was published in Esquire magazine in 1996. Allegra Coleman was described as an actress who had just starred in Woody Allen’s new movie, had a stormy relationship with actor David Schwimmer and was good friends with Deepak Chopra. Ali Larter, an aspiring model and actress, was chosen to represent Allegra. It was soon revealed that Allegra Coleman didn’t actually exist. 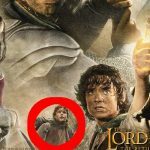 However, it all did wonders for Larter’s career : suddenly she was a wanted guest at every TV show and movie directors started offering parts to her. Larter later appeared in ‘Final Destination’, ‘Legally Blonde’ and the TV series ‘Heroes’. 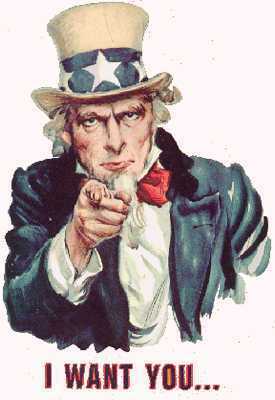 The image of Uncle Sam was loosely based on British Lord Kitchener but creator J.M. Flagg modified the face features according to his own face. Uncle Sam also looks like the real Samuel Wilson who was a meat packer supplying the American army with beef during the war. Despite the food barrels were stamped with ‘US’ standing for ‘United States’, the soldiers soon started referring to the food as ‘Uncle Sam’s’. The word soon got out and the image of the bearded man dressed in red, white and blue became the most popular personification of the American government.